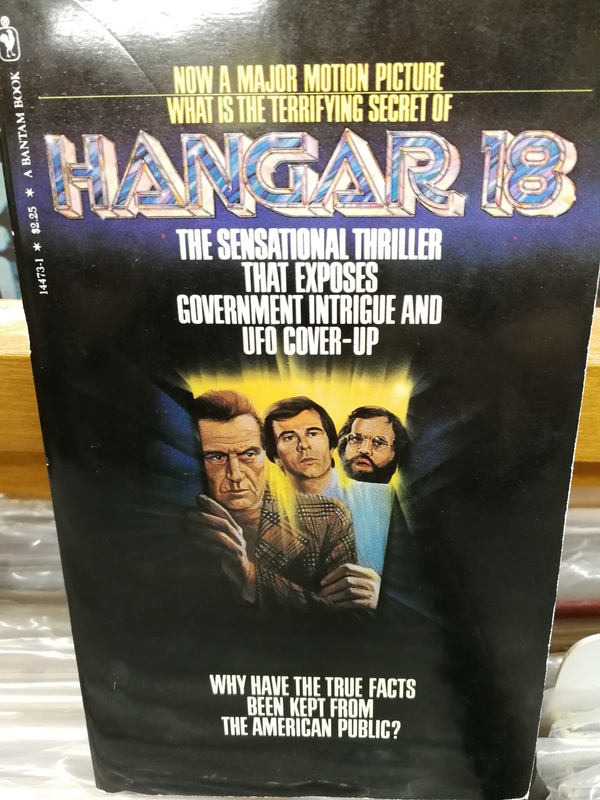 As I continue to amass movie memorabilia, I commonly come across the novelizations of movies or novels rereleased with new cover jackets to capitalize on the film versions that are currently playing movie houses world wide. 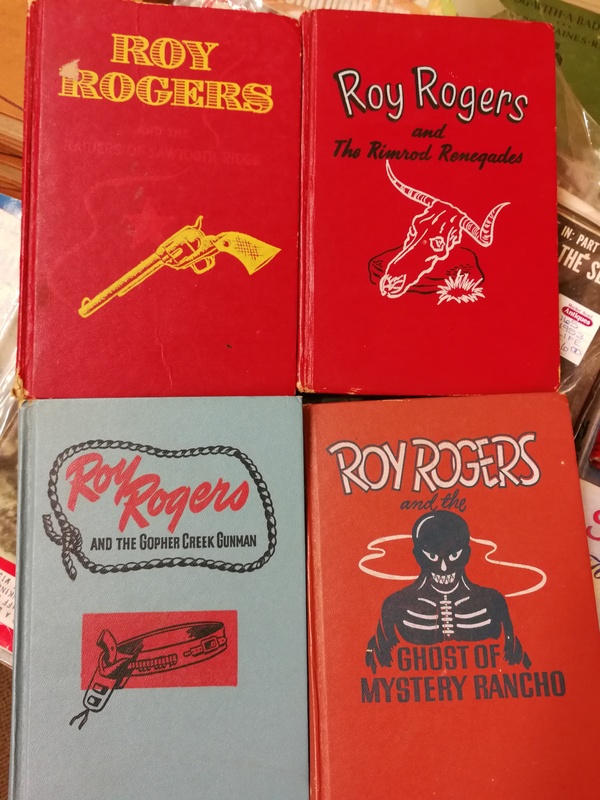 While I don’t collect too many of these dog eared curios, I do like to snap a picture for this on going idea, The Novel Idea. Like older movie posters, some of these are getting harder to find all the time depending on the title one might be looking for. Previous celebrations of The Novel Idea can be found here. 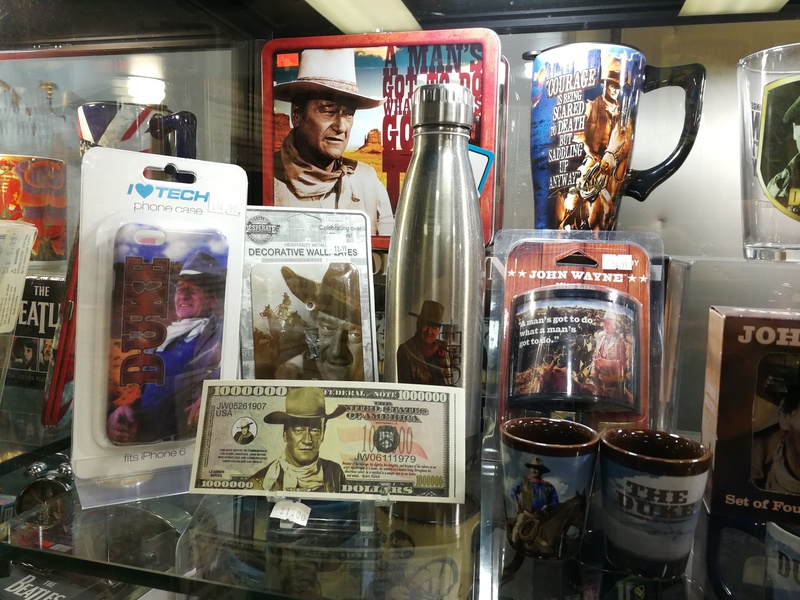 Me, I just take them as they come so here’s the latest helping of movie tie ins and an Alberta stores John Wayne curio cabinet as a bonus. How about we start off with a couple of early cowboys that rode the range and cashed in at the box office. 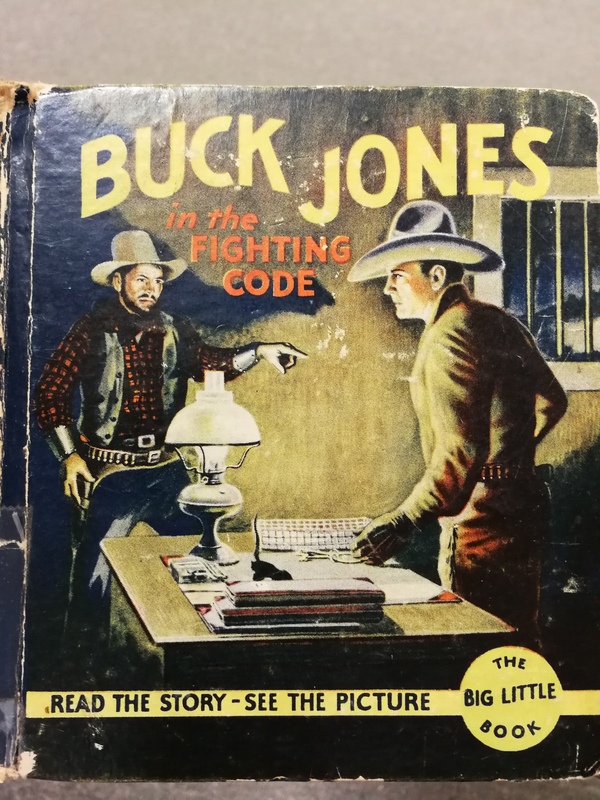 Buck Jones and Roy Rogers. No I haven’t read either of these but I sure did enjoy Hollywood’s versions. 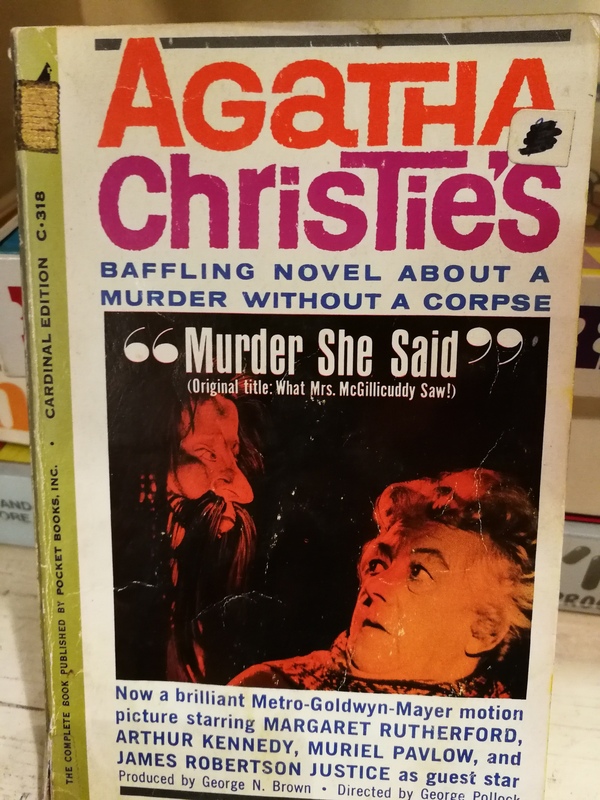 Anyone up for some old fashioned murder mysteries? Christie or Chandler? What’s your preference? Would you prefer to read up on Kirk Douglas’s latest movie or the new one with Richard Crenna? This one I recall seeing at the theater back in my school days. 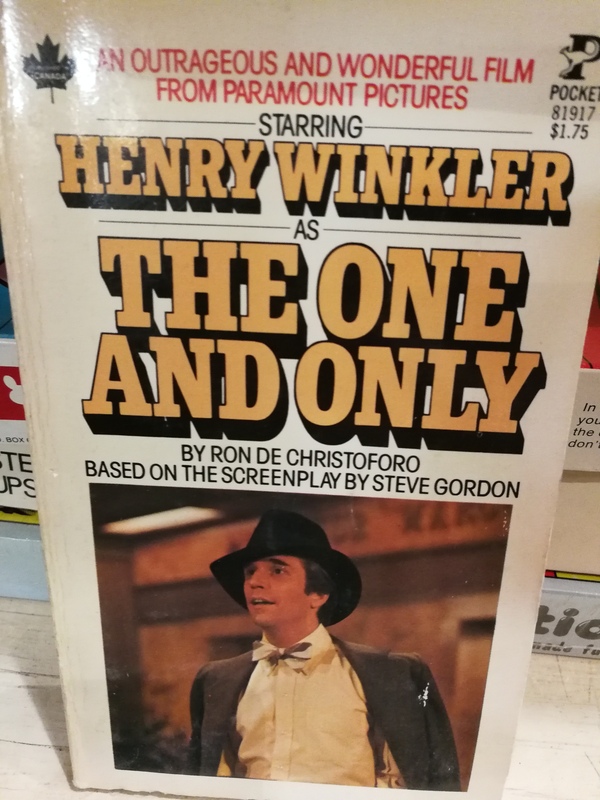 Yup, I was a little tyke when Henry Winkler ruled the television world with his black leather jacket. Yet I’ve never seen this big screen release nor read the book. Sure sounds like I don’t read many books when I look over the latest additions and this Arthur Miller selection is no different. As far as the film goes? I love every minute of it and totally respect it’s importance in film history. A must see. As for my reading habits? Those who know me know I’ve always got a book in tow and on the go. 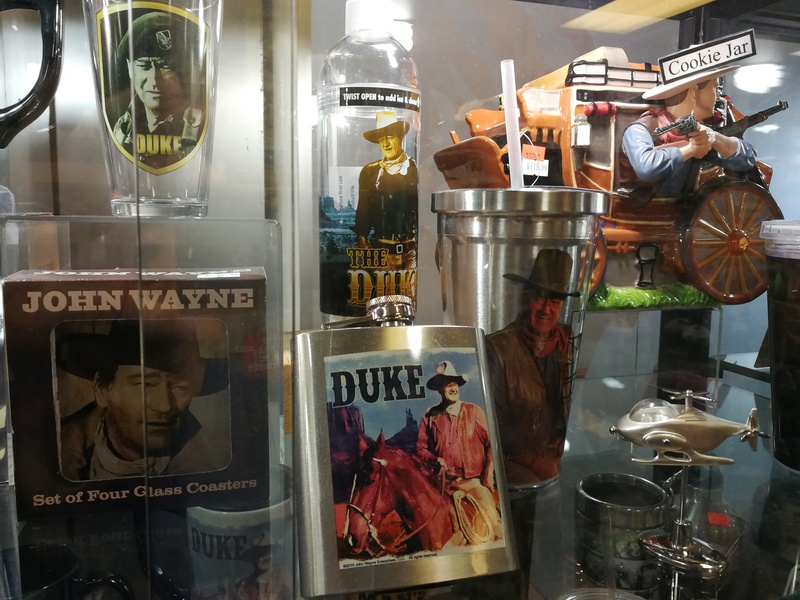 As a curio for us John Wayne fans, I spotted a cabinet full of Duke merchandise while vacationing in the cowboy country of Alberta. I did need a new eyeglass case for my office at work. It’ll fit right in with the rest of the movie items that catch my guests eyes when sitting down to do business with yours truly. lol. Does make you wonder what the stars think of the many drawings and artwork they find themselves in. I say the same thing about plenty of DVD/VHS/Blu covers. I love ‘The Misfits’ – my favourite work of everyone involved (apart from maybe Huston, because African Queen, Maltese Falcon’ etc). 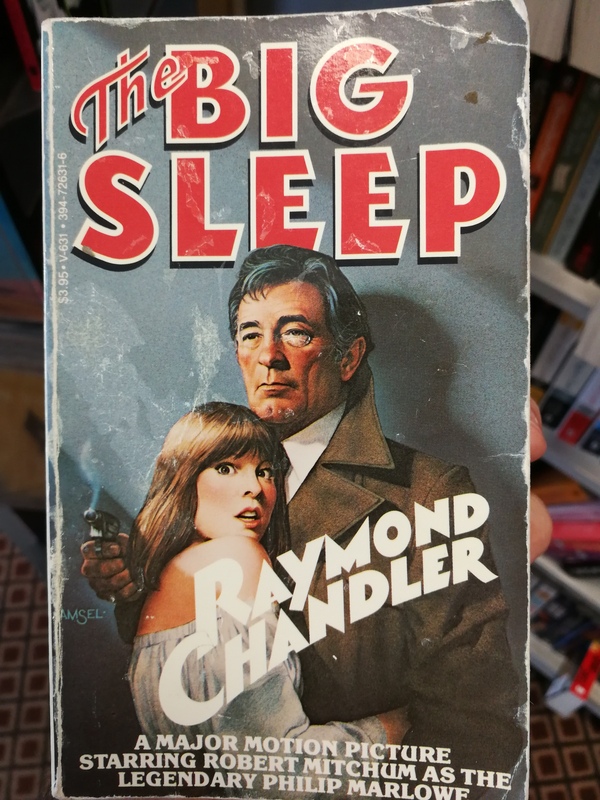 But I didn’t know that Miller did a novelisation?! It is a full novel and not just a reprint of the script I take it? Because if it is, I need to track it down! Oh no. Honestly just assumed it was an original source novel but it appears as if I’m mistaken from a quick google search. It’s either a short story or the screenplay. I can’t even go back to the store I saw it in and have a look. It’s a 4 hour plane trip from here. As for the film, I find it emotionally absorbing. Another Huston classic and a fitting end to Clark and Marilyn’s careers though sad to know it while watching. Maybe that’s why it hits me hard anytime I sit in to watch it. 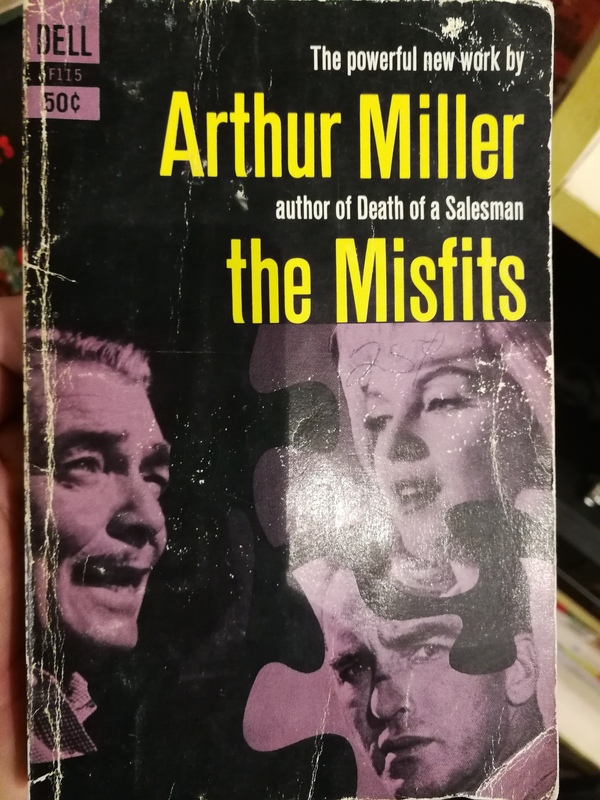 This is NOT a book about making “The Misfits” film. This is not the script to the film. This is not the original short story. 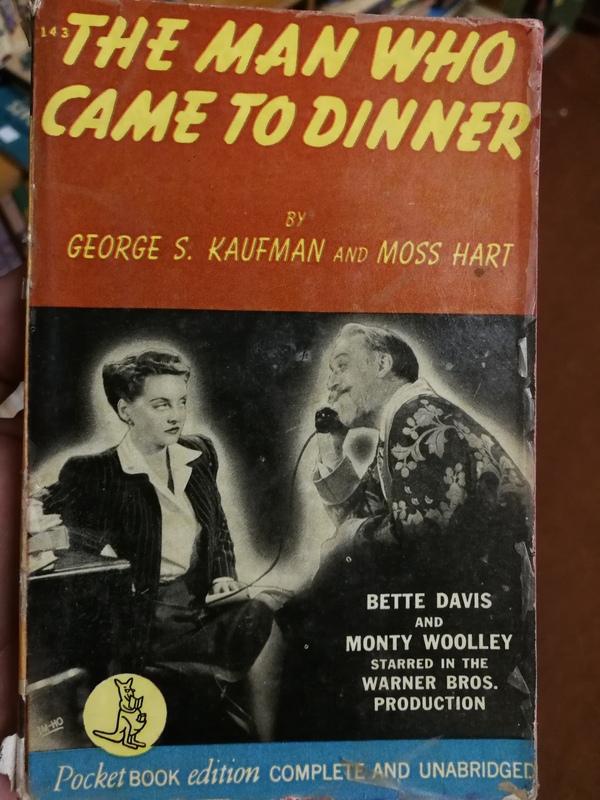 Rather, it is Miller’s novelization of the film in which we see what the camera saw, and hear what the characters said, but we are also given insight into the characters’ motivations and thoughts. It helps us understand Miller’s intentions. Anyone interested in the film should read this. Typically of Amazon customer reviews, half of them have reviewed the wrong bloody book (there’s a “making of” that has the same title; different author, but don’t expect that trivial little detail to bother the average Amazon “reviewer”). Thanks for clearing that up. I never thought to look to closely at the darned thing. The cover caught my eye so out came the camera. It’s a great idea for a post Mike. Love it. I have a few boxes of paper backs stashed away that I used to pick up from charity shops etc. 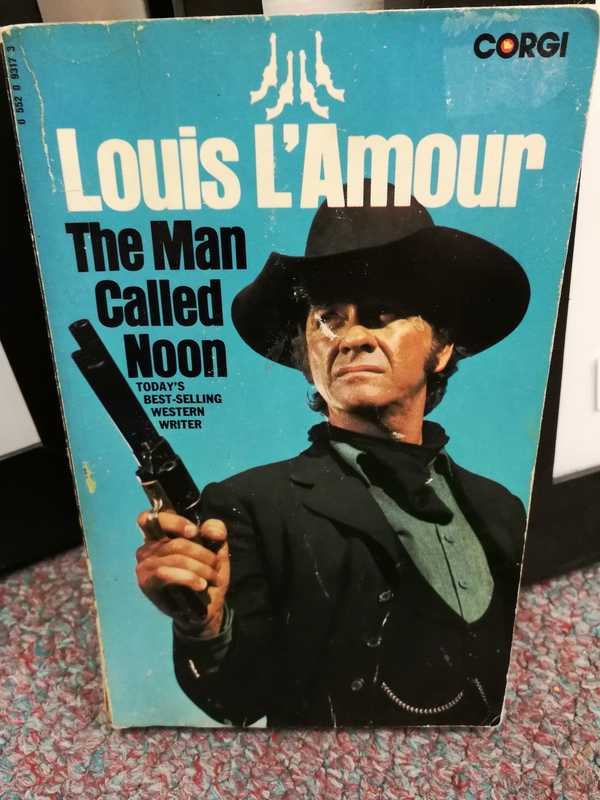 Interesting film covers of seventies cop stories and blaxploitation films or just 70’s plays all that never made it to the big or small screen. I will have to dig them up one day. Things like “The Last Shaft” carrying on John Shaft’s story and some cheesy looking detective called Ice. Most of them I never read but just liked the covers. 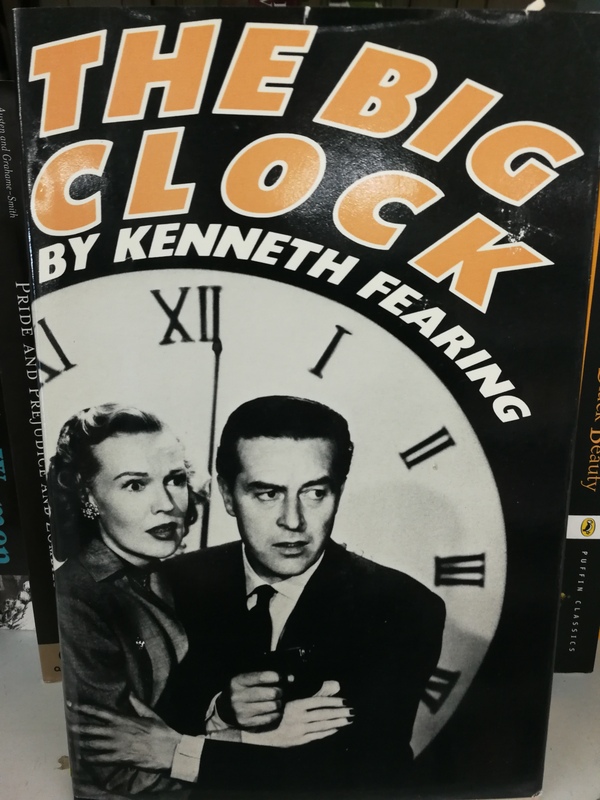 Big Clock a good Noir with a pre cranky old man Ray Milland. 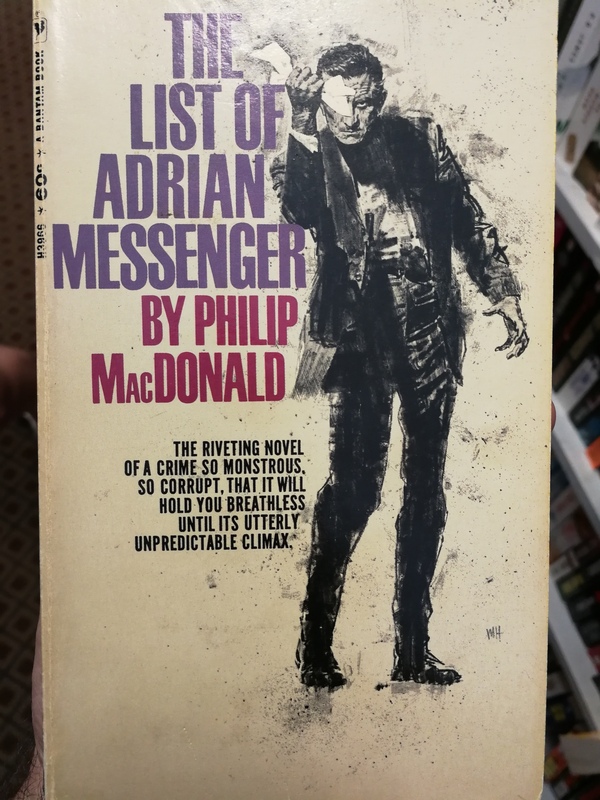 I’m always looking for these old novel covers. Make for a good photo op. You should dig some up and treat us. Ray Milland is such a treat, every time. Corman’s Man With X-ray eyes will always be my fav, so brilliant and I love the Twilight Zone-ness of it. The one high up on the “I need to see this” is The Lost Weekend. Just need to be ready with Ray shouting drunkenly at the camera for an hour and half. Only recently found out he was from Wales, don’t hear his Welsh tones like a certain Anthony Hopkins or Richard Burton. I will have to have a rummage in the boxes one day and see what book titles are in there. Been a very long time.